Great communities are created from the inside out. We focus on thoughtfully and intentionally creating great places for people to live, work, play, and raise their families. We design homes and neighborhoods that are open, connected to the outdoors, and embody the active Colorado lifestyle. As a local business, we hire local and focus on quality skilled labor to grow and strengthen the community. We reinvest our profits back into public institutions and with local organizations that enhance the quality of life and opportunities for others in the community. At LC Home, we Mindfully Create Community. 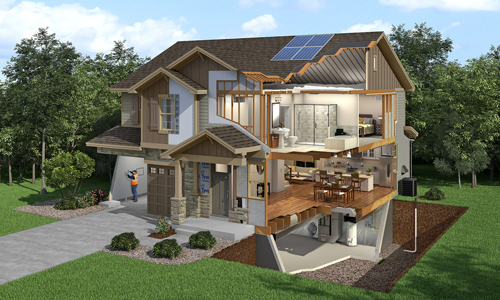 **LC Homes’ EnergySmart Program requires a higher level of commitment to quality construction and energy efficiency than standard new construction or other new homes with the ENERGY STAR label. Our homes are typically 60-65% more efficient than a resale home and 35-40% more efficient than new home built to 2006 energy code. On average, LC Homes’ EnergySmart Program saves homeowners between one to two thousand dollars annually on utility bills. Subject LC Real Estate Group Property Listing Check out this property! Just check the “Add to Favorites” to save.